Hundreds of dead animals were bought from China, Vietnam and elsewhere for use in research on lab cats back home. U.S. government scientists bought hundreds of dogs and cats from "Asian meat markets" and conducted experiments that included feeding their remains to healthy lab cats for needless research, according to a disturbing watchdog report being released Tuesday. The experiments — some of which the agency said in scientific reports were aimed at studying different forms of a parasite that causes the food-borne illness toxoplasmosis — are believed to have been conducted between 2003 and 2015. The animals that were euthanized to be used as lab food included over 400 dogs from Colombia, Brazil and Vietnam and over 100 cats from China and Ethiopia. "Some of these cats and dogs were purchased by the government from the same Asian meat markets that the U.S. Congress roundly condemned in a House Resolution" last year, said the report by the WCW. The group plans on releasing its findings, which were culled from the USDA's own research publications, in a report to Congress entitled, "USDA Kitten Cannibalism." 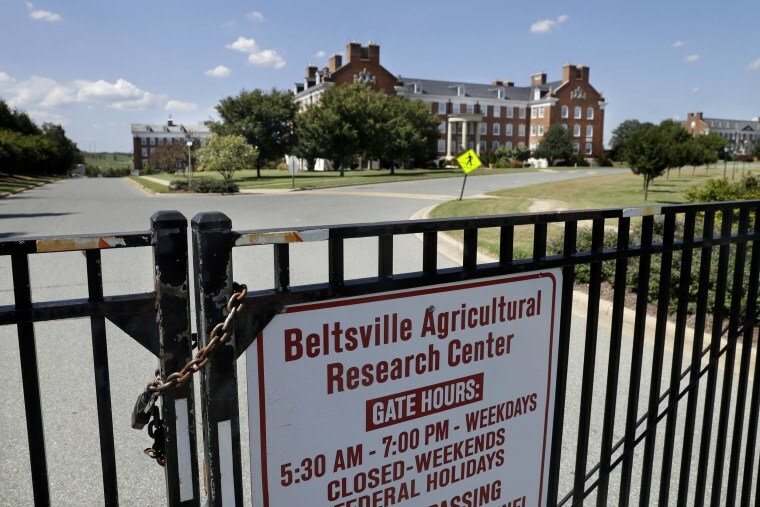 The experiments were carried out at the USDA's Agricultural Research Service's Animal Parasitic Disease Laboratory in Beltsville, Md. The facility was already under fire from some lawmakers for killing cats intentionally infected with T. Gondii, the parasite that causes toxoplasmosis. "The details of these kitten experiments keep getting worse and they need to end now," said Rep. Brian Mast, R-Fla., the lead Republican co-sponsor of legislation aimed at stopping the cat killings. "The fact that the USDA has been rounding up pets and other innocent dogs and cats in foreign countries —including at Chinese meat markets condemned by Congress — killing them and feeding them to lab cats back here in the States is simply disgusting and unjustifiable." Sen. Jeff Merkley, D-Ore., called the revelations "deeply disturbing." "We can advance scientific discovery while treating animals humanely, and American taxpayers have every right to expect our government will meet that standard," he said in a statement, while urging passage of the legislation, entitled Kittens in Traumatic Testing Ends Now — or KITTEN. The agency has been breeding kittens at the lab since 1982, and feeding them raw meat to infect them with T. Gondii. Scientists harvest the parasites from their stool for two to three weeks, and then euthanize and incinerate the cats. Cats are used because they're the only host animal that produces parasite eggs. The Centers for Disease Control and Prevention says toxoplasmosis is one of the leading causes of death from foodborne illnesses in the U.S. While over 40 million Americans are believed to carry the parasite without an issue, exposure can have "severe consequences" for people who are pregnant or have a compromised immune system. Keen, who left the USDA after blowing the whistle on mistreatment of livestock in Nebraska in 2015, said the Maryland experiments have helped combat toxoplasmosis, but that scientists there haven't had any major breakthroughs in about 20 years. He and WCW vice president of advocacy and public policy Justin Goodman contend that scientists can continue their work with the samples they already have, and don't need to keep infecting and killing kittens. "They just don't need to do it anymore; it's scientifically unnecessary," Goodman said. Keen was also at a loss to explain the scientific purpose of the "cannibal" experiments. The USDA is supposed to protect the food supply, but cats and dogs aren't part of the food chain in the United States. "It's totally unrelated to the food safety mission," Keen said. "We shouldn't be paying for that as taxpayers." Keen, who's now a private citizen, learned about the experiments while researching the Maryland lab's scientific publications. The publications said the dogs and cats were killed in Asia, South America and Africa, and then tissues from the animals were sent to Maryland. Some of the publications detailed feeding tissue from cat hearts, brains and tongues to other cats. Others involved feeding the same parts of dogs to the lab cats, and in some cases, injecting the tissue from the infected cats into mice. The studies conducted using animals from China said "the cats were killed humanely according to PRC laws for slaughtering of food animal (sic)." The WCW report calls that claim "concerning and deceptive," and pointed to the 2018 Congressional resolution condemning the Chinese facilities. The resolution said the treatment of dogs and cats in the Chinese facilities "would breach anti-cruelty laws in the United States." The WCW report contends the experiments were needless. "These were all abnormal diets for cats, dogs and mice so likely irrelevant to natural toxoplasmosis biology. Their scientific relevance and justification is questionable, at best, as is their relevance to American public health since we do not consume cats and dogs, and the practice is now outlawed in U.S.," the report says. The WCW says almost 4,000 cats have been killed since the testing began, and that the experiments have cost taxpayers about $22 million to date.